Tinker Bell and The Pixie Hollow Games is the next Tinker Bell movie that is coming out on DVD this fall 2011 instead of (The Mysterious Winter Woods) which is coming out next fall of 2012. The Pixie Hollow Games was suppose to be the last of the five Tinker Bell series. 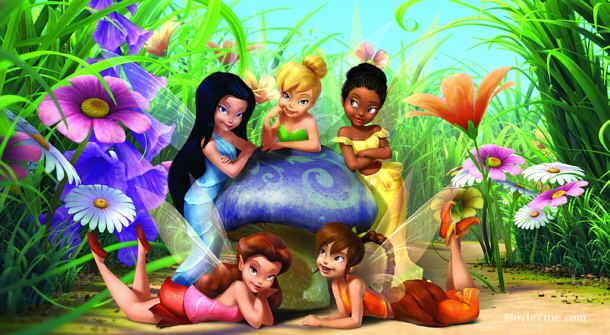 These movies are based on the Disney Fairies Franchise and the film is produced by using Digital 3D. Tinker Bell the little trouble maker is from the play created by J.M. Barrie’s Peter Pan or The Boy who Wouldn’t grow up. The plot again focuses on the character Tinker Bell and her friends who participates in a Pixie Hollow sport events. It seems the garden faries get tired of ther losing streak, so Rosetta along with a new garden fairy named Chloe seek the end of that. There may be a subplot involving Bobble and Clank. Comments for The Next TinkerBell Movie/The Pixie Hollow Games are now closed.